Lemmon and Mills = great chemistry. Cast: Jack Lemmon, Juliet Mills, and Clive Revill. One of Wilder’s last films stars Lemmon as an uptight American businessman who journeys to a small Italian town to retrieve the body of his father, who died in a car accident. To his surprise, Lemmon learns that his father was having an affair—secretly meeting his lover in the same hotel every August for the past ten years. Furthermore, Dad’s mistress died in the same accident and her daughter (Mills) shows up for the funeral. After a very leisurely opening, this quirky love story turns on the charm…helped immeasurably by the scenic setting, memorable music, the two leads, and Clive Revill’s delightful performance as a hotel manager who can solve any problem. Juliet Mills—Hayley's sister and John's daughter—also shines in a rare lead role (although it's a bit jarring to see the former star of TV's "Nanny and the Professor" go for a swim in the buff). The instantly hummable song “Sensa Fine” (translated as “Never Ending”) has been played in numerous films before and since, but it’s hard to imagine it being put to better use. The film’s title is Italian for “proceed,” the response given when someone requests to enter one’s room. It’s the same response you should offer if given an opportunity to see this delicious postcard from one of the cinema’s most versatile filmmakers. Dreyfus (and the back of Mason's head). Cast: Richard Dreyfuss, Marsha Mason, and Quinn Cummings. Playwright Neil Simon penned this winning romantic comedy as a vehicle for his then-wife Marsha Mason. She plays the title character, a single mother recently jilted by her latest lover. To make matters worse, she learns that her NYC apartment has been subleased to Dreyfuss, a struggling actor. Once they reluctantly agree to share the flat, it’s only a matter of time before love blossoms. Simon wisely keeps sentiment to a minimum, while allowing his outwardly brash characters to reveal their inner insecurities. Mason is good, if a bit too theatrical, but Dreyfuss hits all the right notes in his Oscar-winning performance. Quinn Cummings, as Mason’s wise-beyond-her-years daughter, delivers most of Simon’s trademark zingers. She, Mason, Simon, and the film all earned Oscar nominations. David Gates, formerly of the rock group Bread, wrote and performed the memorable title tune, which peaked at #15 on the Billboard chart. Cast: Ruth Gordon, Bud Cort, Vivian Pickles, and Charles Tyner. Harold, a 20-year-old man obsessed with death, befriends and eventually falls in love with Maude, a 79-year-old woman with a zest for life. This offbeat blend of dark comedy and romance tries much hard to be quirky, which may account for its commercial failure when originally released. 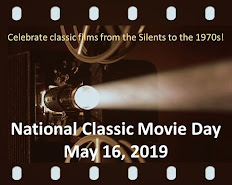 But it became a midnight movie favorite with college crowds by the late 1970s and has subsequently enjoyed status as a classic cult film. Ironically, the movie’s funniest scenes—Harold’s fake suicides and the blind dates arranged by his mother—don’t even involve Maude. Cort, looking as pale as humanly possible, and Gordon give likable performances, but director Ashby drags the film down with too many montages set to Cat Stevens songs. Harold’s Jaguar hearse rates among the cinema’s most memorable automobiles. 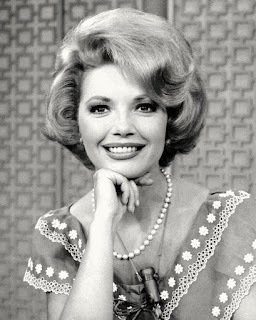 Gordon essentially reprised her character in Clint Eastwood’s Every Which Way But Loose. A year earlier, Cort starred in the genuinely bizarre Brewster McCloud as a young man obsessed with building wings and taking flight in Houston's Astrodome—a plot with cult film potential written all over it, though the picture sank into obscurity. Nice to see Avanti get a good review here. It and Wilder's Private Life of Sherlock Holmes are underrated gems. Fine films by a great filmmaker in the twilight of his career. Rick, this is such an interesting trio of films. 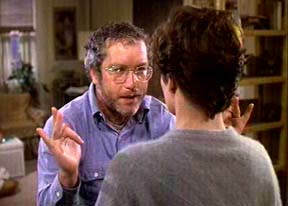 I truly enjoy "The Goodbye Girl" and have seen it many times. Richard Dreyfuss was most excellent. I was surprised by how much I liked "Avanti," and think the leads and lovely score truly made it memorable. I have only seen "Harold and Maude" once and found it quite quirky in my youth. I suppose a revisiting of it should be in order. Thanks for a reminiscing trip back to the 1970s. 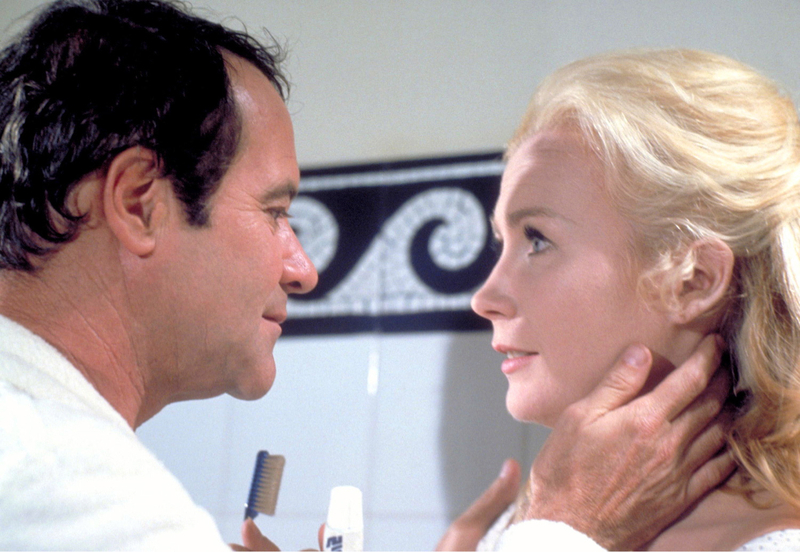 I've never seen Avanti, although just the fact that Jack Lemmon stars makes me see its value in your review. I'm a Harold and Maude fan, although your assessment of the montages is right on. Harold's suicide attempts and date disasters are the best parts of the film! The Goodbye Girl has been for me an evolutionary experience -- I adored it as a young woman and was mainly aware of the fun and romance. It is obviously a wonderful movie, and Richard Dreyfuss is just supreme. It's Mason and her character that began to bother me as I have gotten older. Maybe it's because I and so many other women I know had to work jobs we didn't like to support ourselves and our kids. Now I watch Mason flittering about wondering who is going to take care of her, and I just want to say "OK, so you can't be a dancer -- sit at a typewriter and make a living for you and the kid." Very interesting piece, Rick. Like Toto, it was a nice trip back. 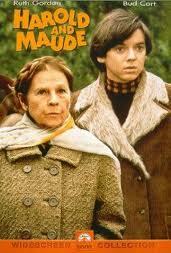 I've seen Harold and Maude so many times and never get tired of it. Haven't seen the other two films but I love Billy Wilder films and Jack Lemmon so I'll definitely be watching Avanti.